Age 54, of Cohutta, Georgia passed away on September 12, 2017 at Skyline Medical Center in Nashville, TN. Connie was preceded in death by her parents, George Becker and Fannie Meadows, and her brother, "Tommy" Earl Lee Young. Connie is survived by her husband of 32 years, "Tony" Peter Anthony Plavich Jr. Her sister, Barbara Boucher, and her brother, William Young along with many nieces and nephews. Connie was employed by the Aim Center, Chattanooga, TN, where she officially held the position of Admissions Coordinator while voluntarily serving the Center with her full heart and artistic abilities. Connie used her creative gifts to plan and decorate for multiple yearly events, recently winning 1st place for her float design in the 2017 St. Patrick's Day parade. Connie had already begun the costume design for next year's float with a Wizard of Oz theme. Connie had a love for nature and spent endless hours creating the pond, stone walkway, and gardens surrounding the wooded area around the home she shared with Tony. Frequently at her side was her adored cat of 19 years, Princess. In 2000 following a tragic accident that took the lives of 5 students at Northwest Elementary School, Connie designed and installed a park on the campus in their remembrance. Connie assisted many friends and family members with their weddings through her floral designs and decorations even to include food as visual art. Connie decorated for every holiday and hosted an annual fall party. Her family enjoyed gifts at Christmas creatively wrapped and decorated to reflect the gift inside the package. Two years in a row Connie entered a painting in the Northwest Counties GA fair taking first place both years. Although tiny in stature, Connie left a huge imprint on the lives of many and will be sadly missed. A Celebration of Connie's life will be held at 2:00 pm, on Sunday, September 17, 2017, at West Harpeth Funeral Home. Visitation will be from 1:00 until the time of the service. In lieu of flowers, please make donations to; AIM Center, 472 West M.L. King Blvd., Chattanooga, TN 37402. 423-624-4800. I just cannot believe this time has come so soon. You will always be in my heart forever. Our thoughts and prayers are with Tony during this diiicult time. I’ve been trying to find the right words, but nothing seems to be enough. You were such a beautiful light in our family, to Tony, to your friends, to your work, and even to those who didn’t necessarily know you, but were lucky enough to experience a piece of you through your talented artwork. Your kindness towards others was such an inspiration and I will forever be grateful, not only for the times you reached out to me in my times of need, but just for the fact that I got to call you my aunt. There’s an emptiness in our family now, though I know there’s a piece of you with us all. You’ll forever be missed and will always remain in our hearts. Godspeed. We have lived next door to Tony and Connie for years, and we could not have asked for better neighbors. Connie had such a talent for her hospitality and green thumb. She did love nature and animals; I would have never believed it if I hadn’t seen it with my own eyes – she had a goldfish pond and the fish would actually swim to the top of the water and open their mouth for her to hand feed them. She was a good and kind woman and will truly be missed. Connie was wonderful, always smiling and knowing just what to say. She was a true blessing to this world and to all who knew her. Yes, Gina, she really did always know what to say. She regularly impressed me with that ability. I think it’s because she actually listened, unlike most people. Connie was truly an angel on Earth. She had a magical way about her. She could calm you with a smile. Never judgmental. A true example of how a person should live their life. I’ve learned so much from her. She will never be forgotten. Having the opportunity to know her, work with her, and experience her kindness is the greatest gift I’ve ever been given. Words can not express how much I will miss Connie. I did not know her long but her presence filled my heart. She made the AIM Center a peaceful place. Her decorations and planning excited us all because we knew it was going to be grand with Connie. The offices and hallways of the AIM Center will never be the same but one thing for sure the photos and her beautiful smile will forever be in our hearts. It was a pleasure working with her at the AIM Center. Connie was excited about family and friends night in October, she began making plans, as she measured Member Support Unit for the photo booth. She wanted to see how big she could make the booth, as she turned and smiled at me. Her smile will always be remember. Stunned and saddened at news of Connie’s passing. We shared an office at AIM Center on McCallie for many years. She was a wonderful friend, and someone I could always turn to when trying to find help for homeless persons with mental health issues. I will miss her smile and caring heart. Connie had a kind and gentle spirit, an infectious laugh, and a creative sparkle that everyone who loved her and called her “friend” will forever miss. My thoughts and prayers are with Tony and their family. May your radiant smile live on through every single life you touched, including mine. Rest well Connie. Connie, you led by example. You were a credit to your profession and enriched so many lives You will be missed.. Fly high, Connie…fly high. Connie was always so helpful and kind. I always thanked her for her helpful spirit and looked forward to her warm smile. She was a good person to know. May God bless and be with her family during this time and always. My parents would take us to Connie and Tony’s house for get together on the weekends. They also would come over to my grandmothers (Jo) house for gatherings. I have such sweet memories of Connie as a child. She greeted you with a gentle smile. Her home was always scented with delicious food cooking, music playing, and such a fun place that I looked forward to spending time with my family and all their friends. I’m very saddened to hear of her passing. Sending love and prayers to Tony and the family. It was always a pleasure to work with Connieher voice on the phone when I would call with a referral was always welcoming and with cheerfulness. The Cts all had respect for Connie and they praised things she did for them. My referrals won’t be the same with out her. I ask God to comfort her family at this special time . Stunned and saddened to hear the passing of one of the world’s true ‘good guys’. I had the privilege of supervising Connie many years ago but was left feeling hardly like a boss but as a friend and teammate. Connie was that breath of fresh air and, come to think of it, ALWAYS positive, happy and THE brighest ray at work. I loved Connie because I would go in to Aim Center every day and Connie would have me to do something and show me how to do it to. Everyone will miss Connie because she was a great person and done a lot. 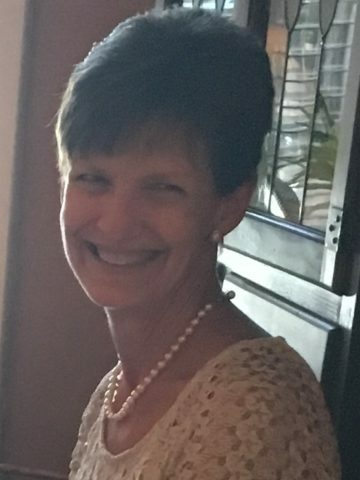 Connie was the best….always caring, always helping, always creating beautiful things for others, always making each person feel special, and always wearing that beautiful smile! She will be profoundly missed by all who knew her. On both a personal and professional level, Connie lived out her love for others in a way that most of us can only aspire to. Thanks for the memories, the love, and the example, Connie! If I would have known for one second that would be our final moment together until we caught up with each other in glory, I would have said, let’s go have one more Natural Light and a cheese and chicken quesadilla, Connie… That would have been selfish, I know… because that plan would not have included everyone else who loves you just as much as I do. Your new job in heaven will be keeping you busy…and I know the time I have to wait to see you again will all be worth it…since heaven is getting a fresh coat of paint…with a faux finish. I love you! Ginger, Thank you so much for your comment, you have described Connie to the T. If Connie had persuded her talent and her created ability she could have been a millionaire but no she chose to use her talent to help others. I know that she will continue doing so in heaven just as she has done so it the pass. She was one wonderfull sister. Your Connie beside your side at AIM Center events always made me smile and gave me pause at what a beautiful couple you made. I am so very sorry you are saying goodbye to your beautiful bride today. The last time I spoke to Connie I told her how I admired her and that she was a quiet gentle leader to her coworker’s and AIM Center members. She smiled, said thank you and teared-up. She was a lovely gracious lady and I am so fortunate to have known Connie. I heard about the unexpected passing of Connie at church this week, and we have kept her and the family in our thoughts and prayers. Knowing her as a young person, she was kind and enjoyed her family. We had fun on several outings to the lake as kids. I wish we had the opportunity to see her again, but from the postings here, it appears she had a good life with her husband in GA and work in Chattanooga. Our prayers and thoughts continue with her and the family during this time of loss, and we wish many warm blessings in honor of Connie. I have known people who were talented in many ways, but then I met Connie. Connie was an angel put on this earth to show the true meaning of “Love”! I will miss her but I know she will always be in my heart. I have not seen Connie since elementary school, but she was always one person who always came to mind when I thought of those years. That is ironic, since she was so quiet at that age. Though I am very sad she was taken so young/early, I am glad she lived so richly/fully in the time she did have in this life.